6). Wait for the page to load. You should have automatically joined the club. 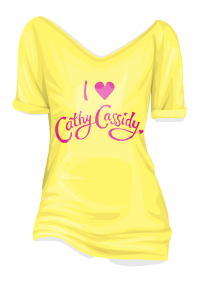 The t-shirt should be in a 'Cathy Cassidy' campaign bag in your suite!